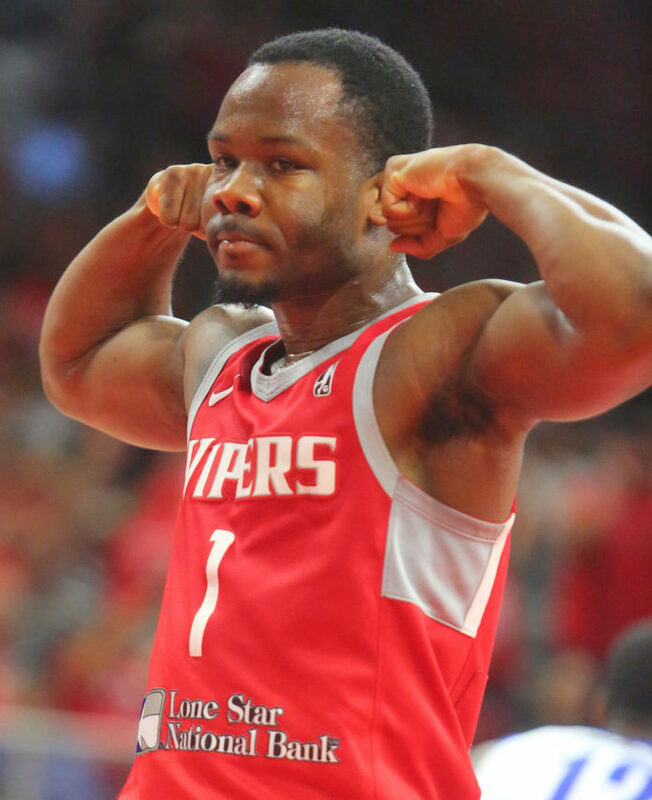 EDINBURG — RGV Vipers coach Joseph Blair has one more pregame routine to run, seven laps around the court at Island Federal Credit Union Arena on the campus of Stony Brook University. That is due to the Vipers claiming a 127-116 victory over the Long Island Nets in Game 2 of the NBA G League Finals on Tuesday at Bert Ogden Arena. The win forces a deciding third game in the best-of-three series, and Blair will once again make those seven laps. The seven laps Blair references is an Old Testament story about Israelites walking around the walls of Jericho seven times before they collapsed. “I was out there today and it was hot out there,” Blair said. “But I’ve also been out there in the cold and the rain. In Joshua 6:1-27, the Israelites marched around the walls and that’s what I do: make my laps, knock the walls down and claim this building for us. When we’re on the road, I walk around the court seven times and do the same thing. Facing elimination, the Vipers trailed early in the second quarter 38-34 before Isaiah Hartenstein went on a 3-point rampage, nailing five of eight beyond the arc during the period and leading the Vipers to a 64-56 halftime lead. Hartenstein finished the night with 33 points and 13 rebounds. Five different Vipers reached double digits with Dakarai Tucker scoring 23, Michael Frazier adding 19 and Gary Payton and Jordan Johnsons each scoring 18. After the Vipers’ morning shoot-around, Blair talked about the recent impact Johnson has had off the bench. “He has had five or six very good games recently,” the first-year Vipers coach said. “I don’t have and set in stone rotation. I go to the bench to see what I can get, to juice that orange for as much as I can get. Some don’t have juice, some are super juicy. Right now, he’s that. Gary Payton said some changes in the offensive strategy were critical. Payton also praised his teammate, Johnson, for bringing energy and quickness to the team. Johnson also had nine assists in the game. Theo Pinson led the Nets with 32 points and 11 rebounds. Friday’s game will be televised on ESPNU.